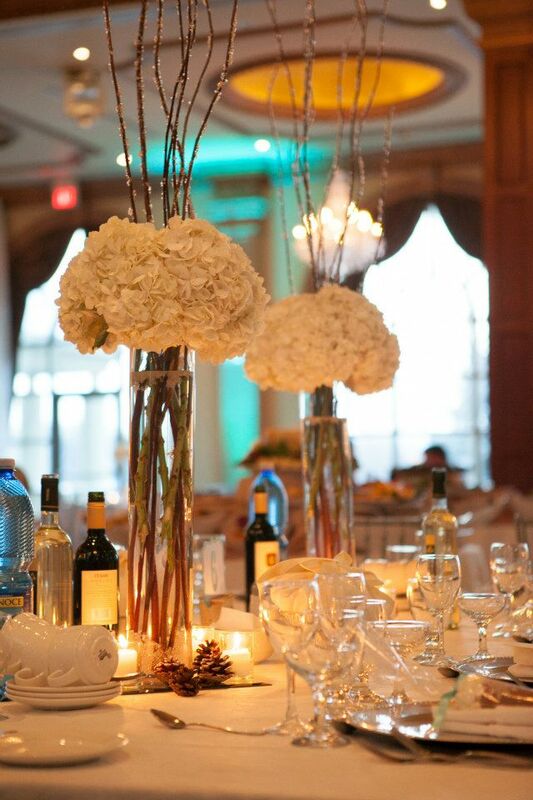 The ‘Winter Wonderland’ theme spread to every aspect of the wedding: from the bride’s beautiful bouquet filled with white roses, to the georgous, tall centerpieces bursting with white flower arrangements and sparkling branches, all beautifully designed by Rachel Clingen. 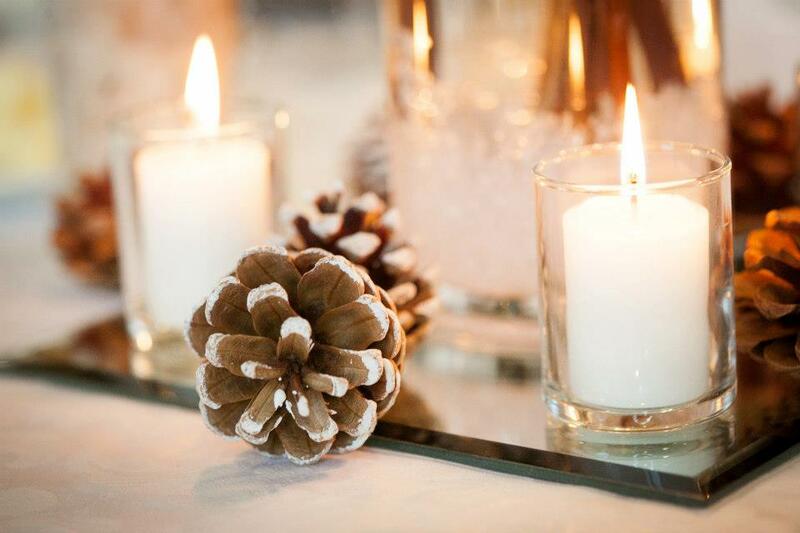 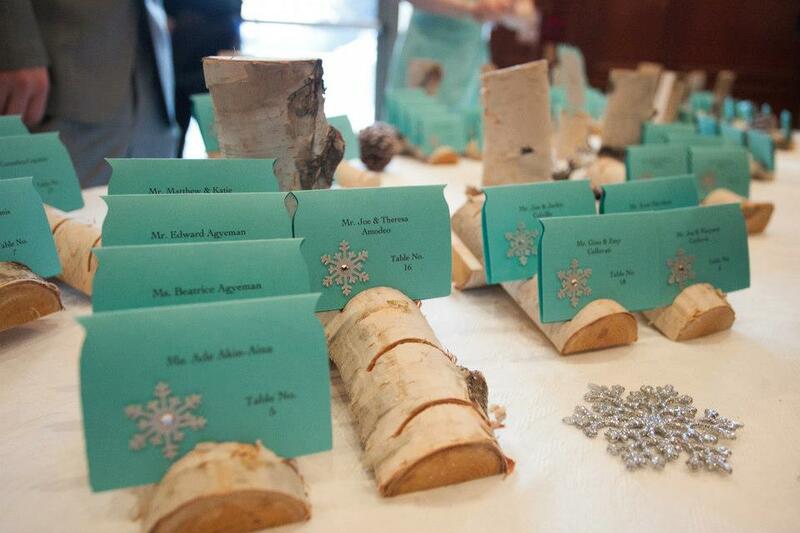 Along with the bouquet and the centerpieces, other winter elements such as snowflakes, white-tipped pine cones and birch wood holders (made by the bride’s father!) 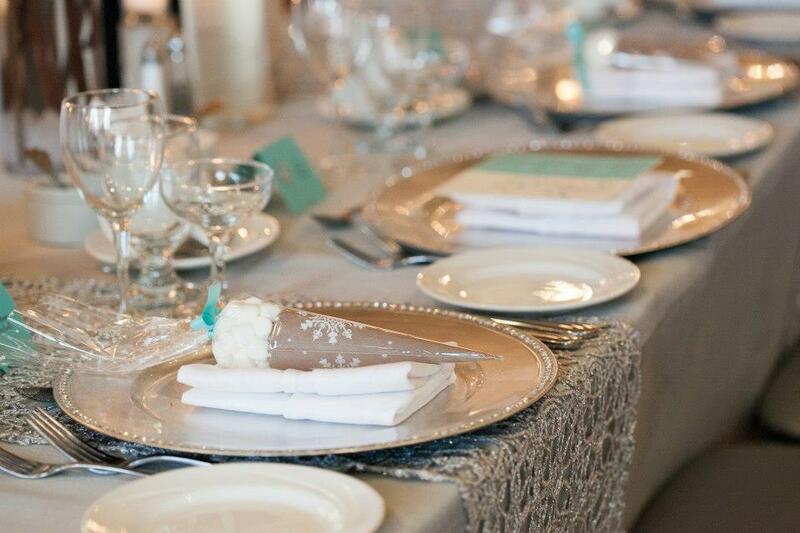 were seen everywhere-on the table seating cards, the money box and strewn around as beautiful, yet subtle decoration. 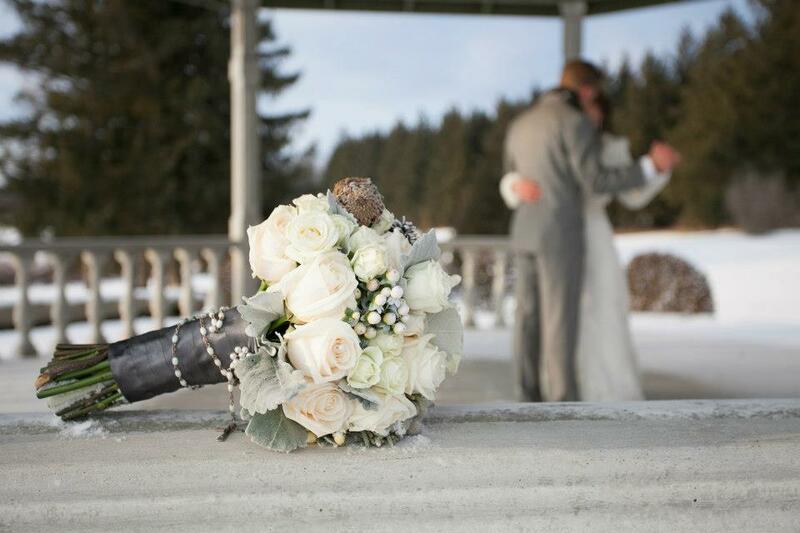 Our favourite ‘Winter Wonderland’ piece- the yummy wedding favour: a wrapped cone filled with everything you need to make yourself a steaming cup of hot chocolate, mini-marshmellows and all! 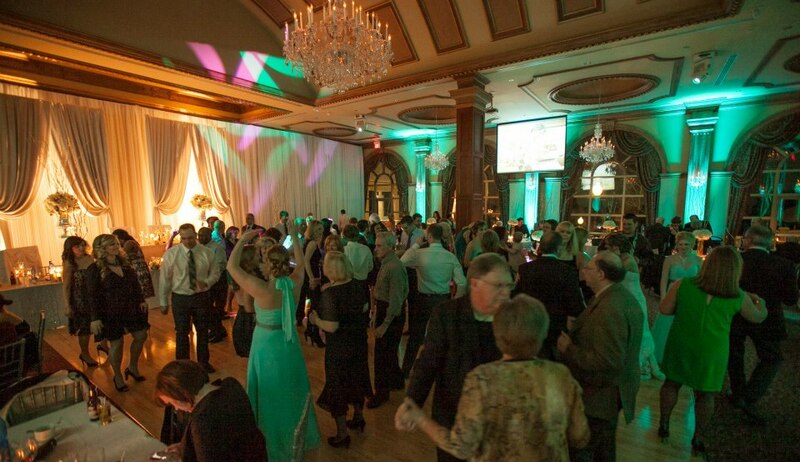 Finally, the DJ and MC from Digital did a fantastic job of getting all of the guests on the dance floor, to enjoy the incredible music. 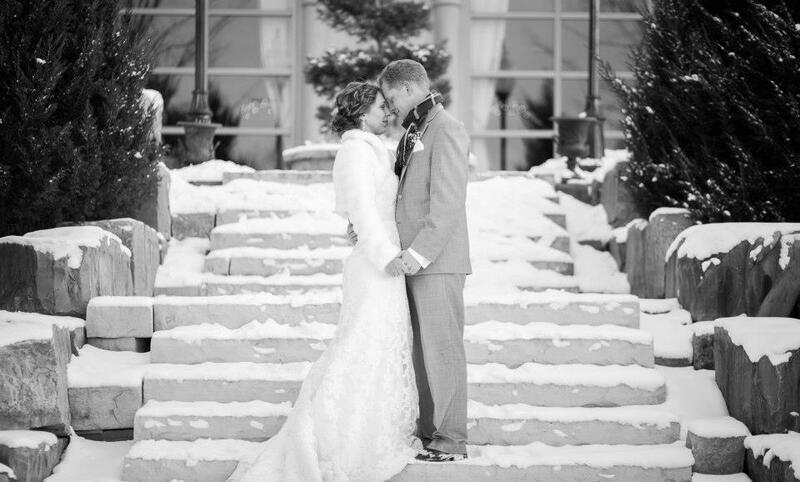 It might have been cold outside, but it was definitely warm and inviting inside the Royal Ambassador for Catherine and Justin’s Winter Wonderland Wedding!